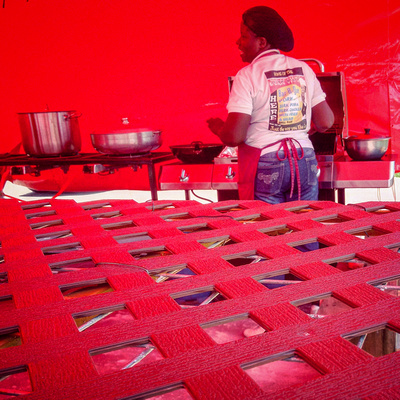 Anyway, fun aside… this place was RED, from the tent/roof, sides, tabletops, aprons… all RED. So, it’s not that I overdid it on the photo, it’s just that the place was like that, and the poor phone camera had a hell of a time focusing because of it. I’m glad I got the shot I did. Click on the image to see it in the Gallery!